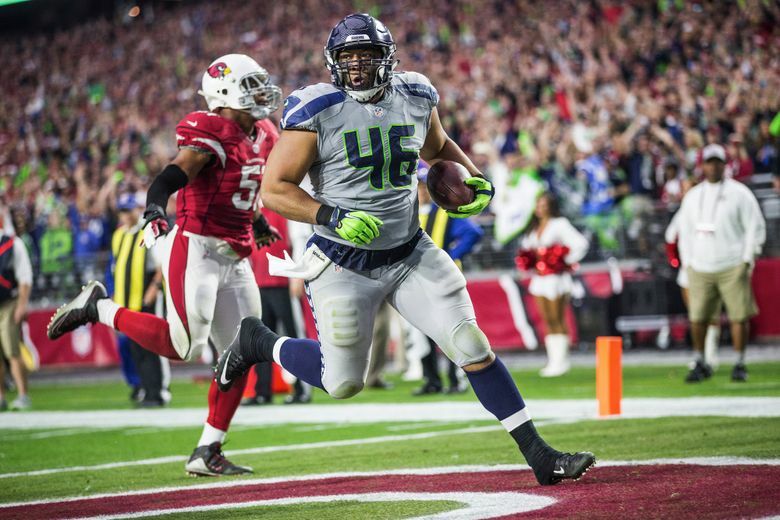 The Seahawks have re-signed Will Tukuafu as they search for answers on how to fill their fullback position. In their continuing search to try to find a fullback, the Seahawks are reaching back into the not-too-distant past, re-signing Will Tukuafu, who helped fill that role the last two seasons. To make room on the 90-man roster for Tukuafu the Seahawks have waived Jonathan Amosa, a former Rainier Beach High and UW standout. Tukuafu shared fullback duties last season with Derrick Coleman, playing 20 percent of the offensive snaps. Both Coleman and Tukuafu became free agents at the end of the season. Coleman, recently charged with two felonies in connection with an auto accident last fall, remains a free agent. Seattle appeared content to look in other directions for a fullback, including signing former UW defensive lineman Tani Tupou and using him there, as well as former USC running back Tre Madden and tight end-turned fullback Brandon Cottom. Cottom appeared to have the upper hand on winning the fullback job before suffering an Achilles tendon injury. Tupou then broke a bone in his hand and has been moved back to defense while Madden suffered a shoulder injury and was placed on Injured Reserve. The Seahawks signed Amosa two weeks ago and he played in the first two preseason games, including picking up a first down on a fourth-and-one at Kansas City and gaining three yards on two carries overall. Seattle also this week moved linebacker Kyle Coleman to fullback. Seattle is one of the few teams in the NFL that has emphasized the fullback spot through the years, with an I-formation package a key part of the team’s power running game. Tukuafu, 32, worked out for the Seahawks two weeks ago shortly before the team signed Amosa and is now back. Tukuafu, an Oregon grad, can also play defensive line, getting eight snaps there for the Seahawks in 2015. He had four carries for one yard last season including scoring his first career rushing touchdown against Arizona. He also scored another on a pass at Arizona. His signing is expected to be made official on Sunday when the team returns to practice.